Yes, You Can Can! | Bloom. Can we talk about how it is almost October? 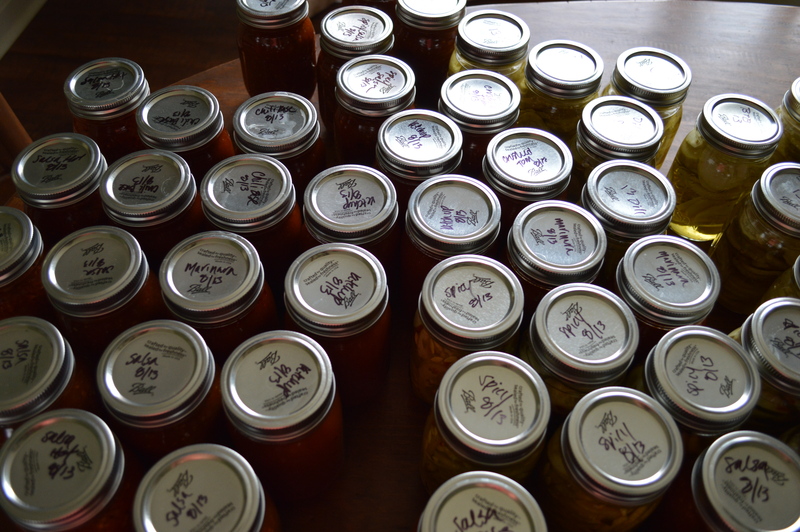 My September, so far, can be summed up pretty quickly: Work and canning. I recently told a few women at work that I needed to get some canning done over the weekend. They stared at me with blank faces. Embarrassment burned in my cheeks and with a little laugh, I quickly changed the subject. I got back to my office and began to question everything. … Do I come off as a young and dainty ditz who only cares about my appearance? What does someone with chickens look like? 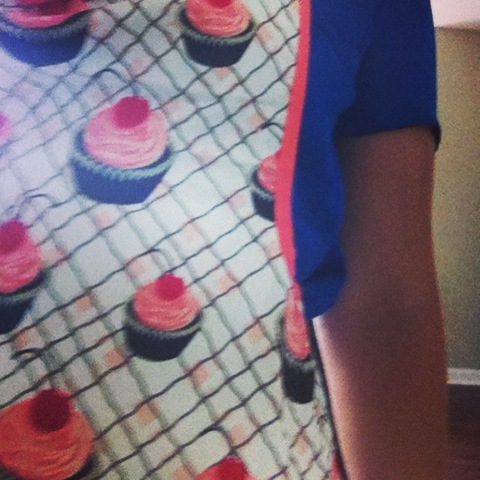 … Okay, stereo-typically speaking, probably not like me in my business casual attire. Sure. What does someone who cans look like? Those women were imagining their grandmothers. Those middle age women may have never canned because they didn’t have to. Their grandmothers, before food processing reached its prevalence, had to. While canning today is not mandatory, it sure is rewarding. Not to mention, fun! 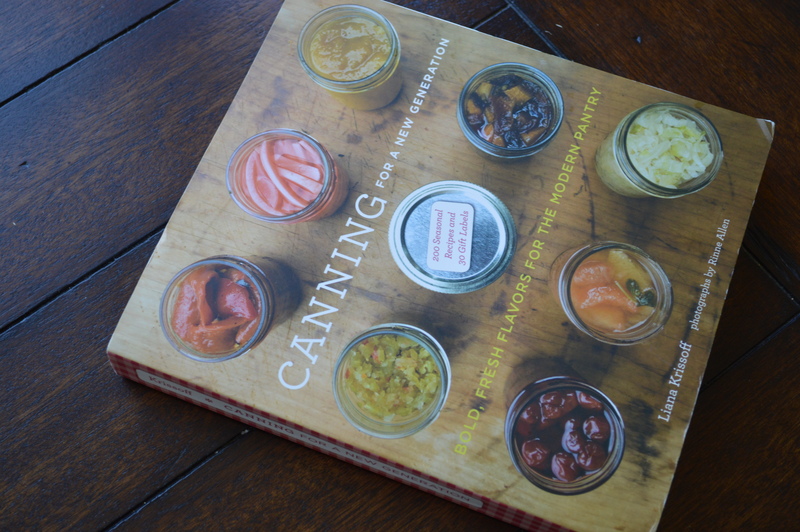 It’s a great resource for newbie canners. There are also tons of other great resources all over the internet, but be cautious in your searches. Anyone can write a blog (… this can be a positive thing too. I am living proof!) and canning incorrectly can potentially be dangerous as botulism can live and grow in improperly processed cans. Eek! That being said, don’t be too scared to can at home. Just do your homework and study up. Make sure you have all the tools you need. I have a canning kit that has a jar lifter, a funnel, a magnetic lid lifter, and a jar wrench. 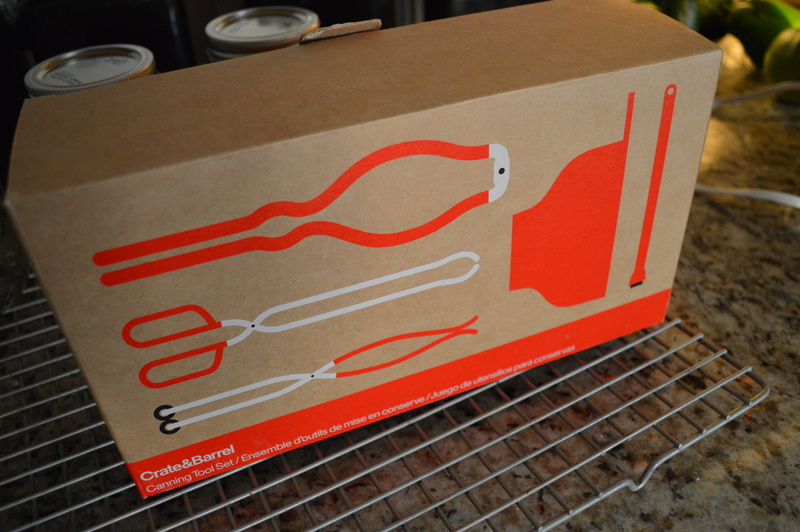 These kits are sold at any kitchen or home improvement stores. This time of year is a great time to get a canning kit on sale. I got ours a year ago at an end of season sale at a major discount. 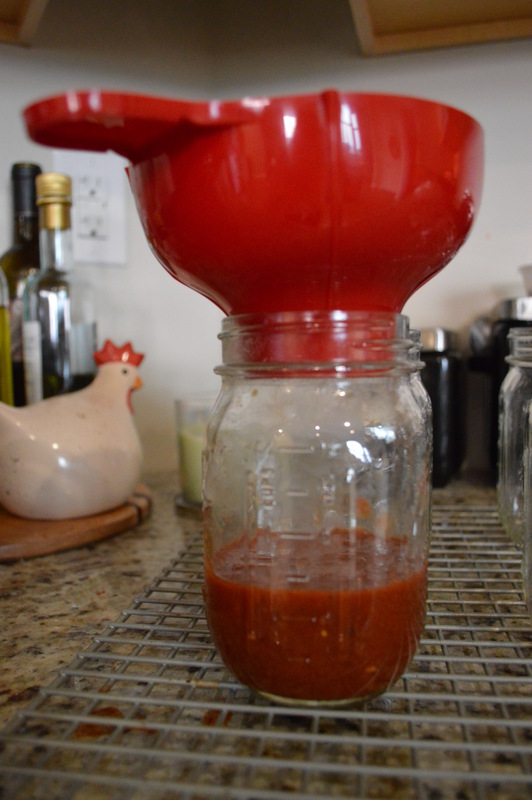 The funnel is great for keeping products in the jar and off the rims. 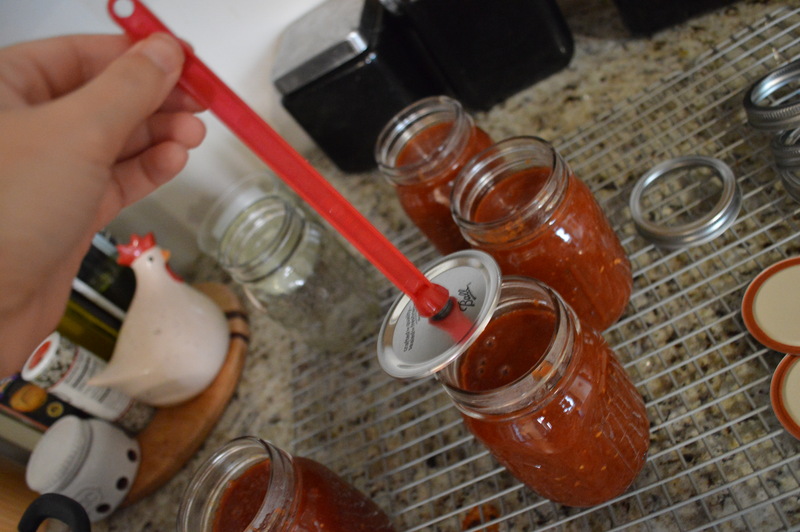 The magnet helps place the lids onto the jars without using your fingers. 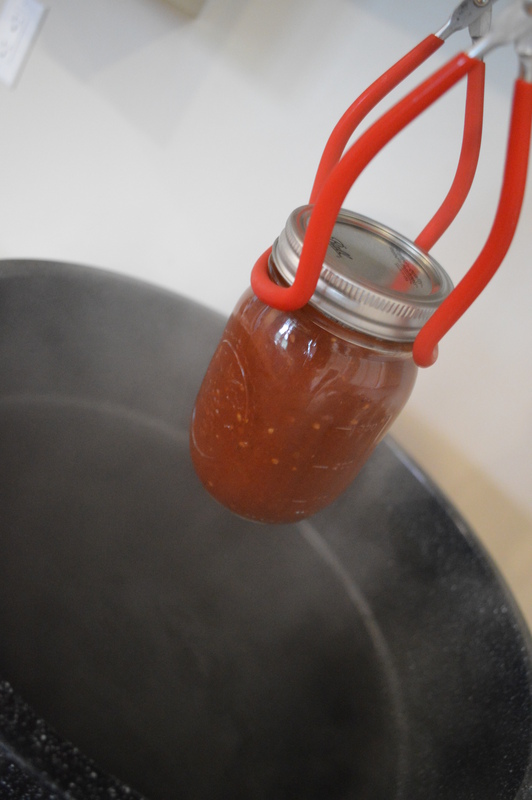 Tongs are key when canning. It helps in placing jars into the water bath and removing them at the end of processing. 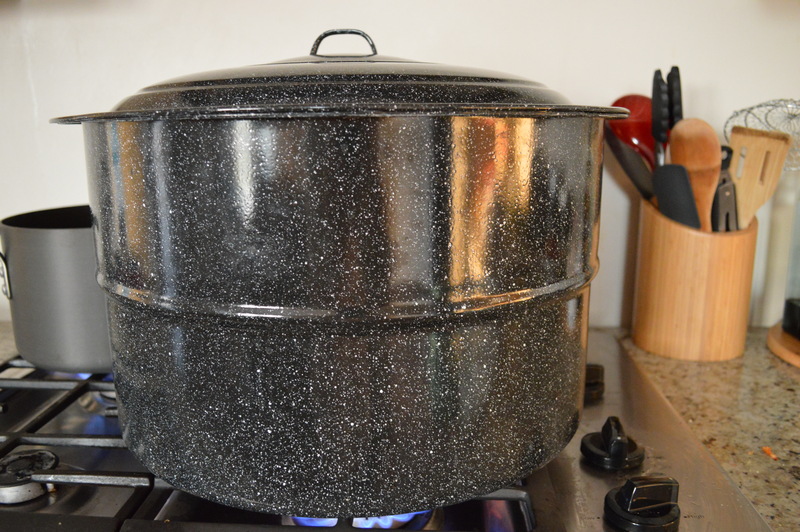 I also use water bath, which is a huge pot. It can take some time to bring to a boil, so plan accordingly. Be sure you are working with clean jars. I always inspect the jars before sterilizing them in the water bath for chips that could prevent the lids from sealing. 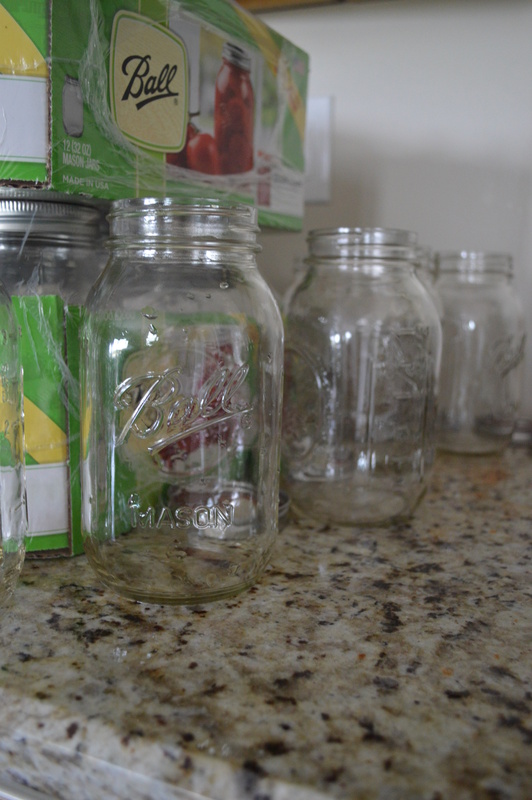 Jars and rings can be reused, lids cannot. Ball sell’s lids individually so you don’t have to invest in new jars every year. There are a lot of seasoning packets that make creating different flavors of pickles, salsas, and sauces easy. They also include cooking times for the product you are creating so it takes out a lot of the guess work. I used these often, but did manage to create a handful of batches from scratch. Once canning is complete, let jars sit. I leave ours alone on a cooling rack for twelve hours just to ensure they seal correctly. Finally, be certain to do a victory dance for every “Pop!” you hear indicating the jar has sealed…! Bonus Tip from Adam: Be prepared for a lot of dishes. 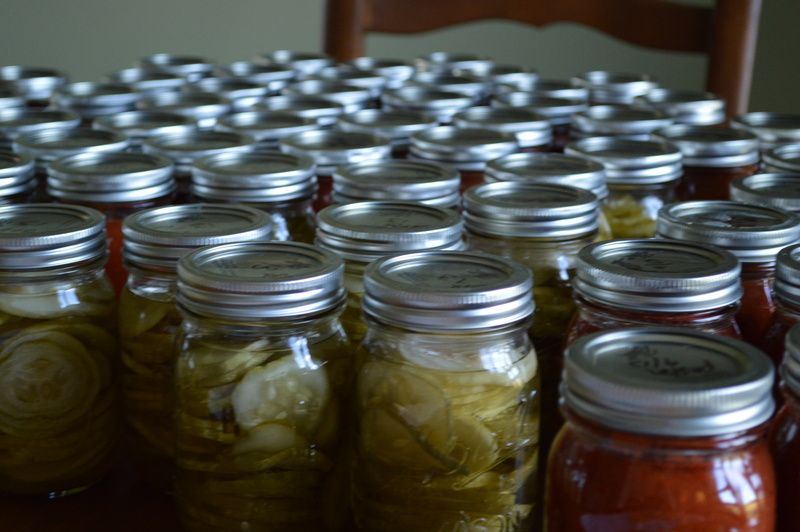 Even with the many rounds of dishes, canning is so gratifying. I look at our dining room table, covered in Ball jars and smile. 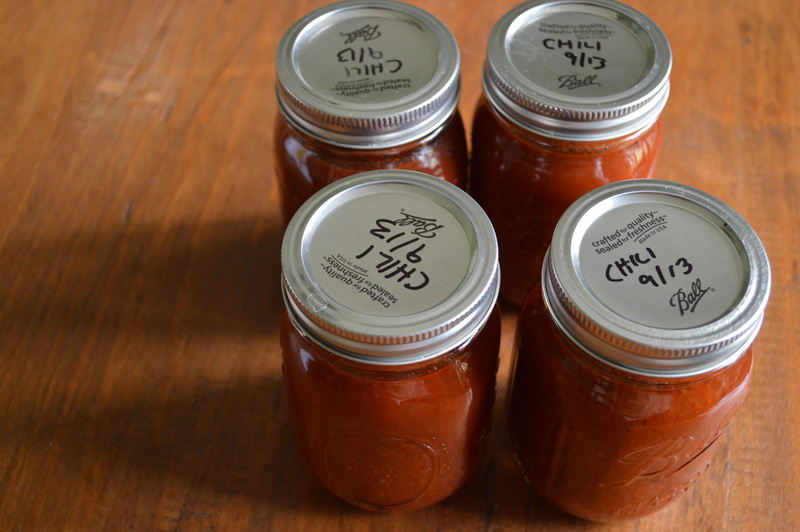 The sauces and salsa’s made from our garden ingredients will be welcome in the winter when a fresh, flavorful tomato is hard to come by. I also can’t help but wonder if this will help keep our grocery bills down. Don’t be scared or intimated. … And can in Charlotte York style!